Online credibility is a valuable commodity. With the expansion of the web, there’s no shortage of sites available to the searcher. From products to services, information, opinion and everything in between, the sheer number of destinations can be daunting and sometimes difficult to distinguish. Credibility plays a large role in determining who’s going to get the majority of business online. Major corporations spend millions of dollars building their brand and establishing their credibility for good reason; it pays dividends. There’s also countless stories of fraud, scams and victimization online, and consumers are taking notice. Some reports estimate that people consider up to 50% of the information they read online to be false. With all these considerations, online credibility needs to be established and maintained to ensure a business can compete in Web 2.0. What do you want people to find when they search for your company? 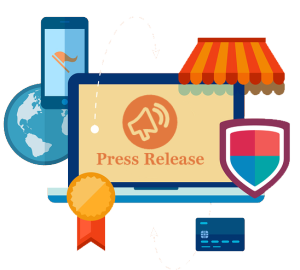 One of the most effective methods to create and preserve online credibility is through an intelligent press release. In basic terms, a press release is a brief story or summary of a development within your business sent to the media outlets for publication. Examples of things a press release might be written about include adding a new product, management changes, opening a new location, starting a website, and more. The release contains all the information media outlets need to write a story on the development. Using online distribution methods enable the press release to have a wide reach and connect with anyone looking for the information, therefore making it intelligent. Consumers find this information when searching for a company, solidifying the legitimacy of the business. To be done correctly, a press release must be professionally written, easily indexed by the search engines, and distributed properly through all the available and proper channels. The farther the reach of a press release, the more chance it has of connecting with that target audience; the better it’s written, the better opportunity it has to make a positive impact. Both these criteria should come into consideration to ensure a press release achieves full potential.